Our Head Office located at 2 Jane Street, Toronto, Ontario is currently recruiting a full-time Senior Marketing Specialist, Direct Marketing. Reporting to the Marketing Manager, and following company policies and procedures, this person creates and executes integrated direct marketing campaigns in order to meet the needs of our cemetery, funeral operations, as well as our corporate operations. Through the development and implementation of integrated marketing communication strategies, the incumbent will increase awareness and market penetration for our cemeteries and funeral homes within the communities they serve. Support the growth of the organization by generating inbound leads through research, development and testing of direct marketing opportunities across multiple channels, including but not limited to direct mail, e-mail, social, print and digital media. Work directly with branch managers to plan and implement their annual direct marketing campaigns, with specific emphasis on addressed and unaddressed direct mail. Monitor and track all direct response campaigns, analyze results and provide insights on future steps of the programs with the goal of achieving the highest level of quality response and conversion. Coordinate with the online marketing team and third party vendors to develop landing pages, banners, e-mail campaigns, call-center support and other related items that support direct marketing campaigns. Liaise with Branch Managers to discuss marketing needs and ideas. Analyze and evaluate the effectiveness of marketing and promotional materials and communicate results to the field. Recommend new programs, review existing programs and recommend improvements to ensure that the specific marketing requirements are fulfilled. 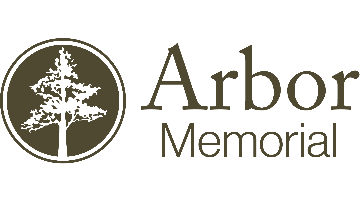 Support the Arbor Memorial Insurance program by developing marketing plans and associated integrated marketing mix and managing the implementation of these plans. Manage and brief agencies on the project. Oversee project budgets, approval of various aspects of projects including design, content and placement. Develop specific marketing plans and associated integrated marketing mix and manages the implementation of these plans. Manage and brief agencies on the project. Oversee project budgets, approval of various aspects of projects including design, content and placement. Perform ongoing research within the industry in order to stay current regarding industry activities. Review and analyze market research to better understand the needs and expectations of families. In conjunction with the department of Regulatory Affairs ensure all marketing activities adhere to all federal and provincial laws and the policies of the company. Other duties or special projects as required. A minimum 3-5 years’ progressive experience in a direct marketing, or advertising environment. Experience working with agencies, list vendors, direct mail houses, external partners and designers to develop and implement marketing initiatives. Strong interpersonal, written and oral communication skills, including experience writing copy for advertisements and marketing materials. Demonstrated organizational skills with the ability to manage multiple tasks simultaneously. Self-motivated with the ability to work effectively independently or as part of a team. Excellent attention to detail and consistently high level of accuracy. Exceptional interpersonal and communication skills; verbal, written and presentation. Demonstrated strong customer service skills with the ability to partner will all levels of the organization. Exemplifies Arbor’s values of integrity, trust, teamwork and excellence. We appreciate your interest, and advise that only those selected for an interview will be contacted. Arbor Memorial Inc. is an Equal Opportunity Employer and is committed to fostering an inclusive and accessible work environment. If you are contacted for an interview and/or testing and require accommodation, please contact the Human Resources Department. Any information received relating to accommodation will be addressed confidentially.